Happy birthday to me! Twenty-six today, believe it or not. 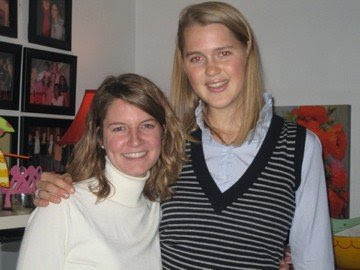 I just finished talking to my sister on Skype a little while ago, and that always brings back a million memories of college at the University of Virginia. Five (five?!) 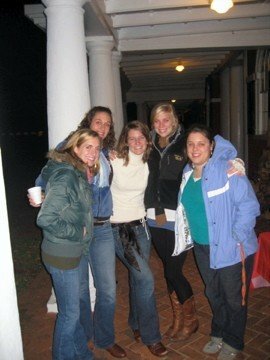 years ago I celebrated my 21st there with a fun birthday bash in my dear friend Sarah's Lawn room. I looked back on Facebook to see if the photos were still there, and whaddaya know? Hello, 21-year-old self. 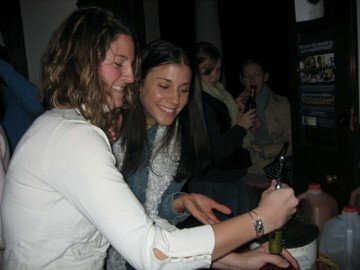 This last photo is my favorite: my nursing school friend Nicole teaches me how to open a bottle of wine. I literally did not know how! I also got a kick out of the fact that I still wear that same sweater... five years later. How fun to see a little bit younger, but just as lovely Becca. Happy Birthday! Love this! Happy Birthday, friend! Happy Birthday to you! You should open up a bottle of wine for sure! Oh! HaPpY BiRtHdAy!! Do they do anything special in Italy to celebrate?? Also, you are from VA?? I've been living in VA for two years now. Small world. Yep, both Elliott and I are Virginians. :-) Glad you live in the best state in the U.S.! Maybe YOU look like ME, not the other way around... hmmm? :-P And I hope you are like me after you have your first kid except much, much better. I like you looking like one another, and may it continue even after many kids! 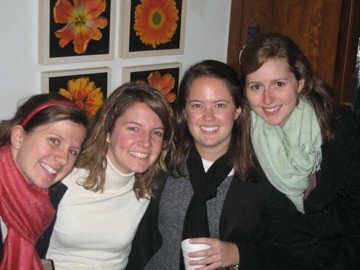 Happy birthday, sweet Becca! Celebrate big and eat lots of.. tiramisu! and gelato! Those are Italian, right? Yes, these are the quintessential Italian desserts, McKenzie. Elliott and I are planning to go out this weekend and I'd like to have one or the other... or cannolu (singular of cannoli), which is my other favorite Italian dessert. Thank you for the birthday wishes!